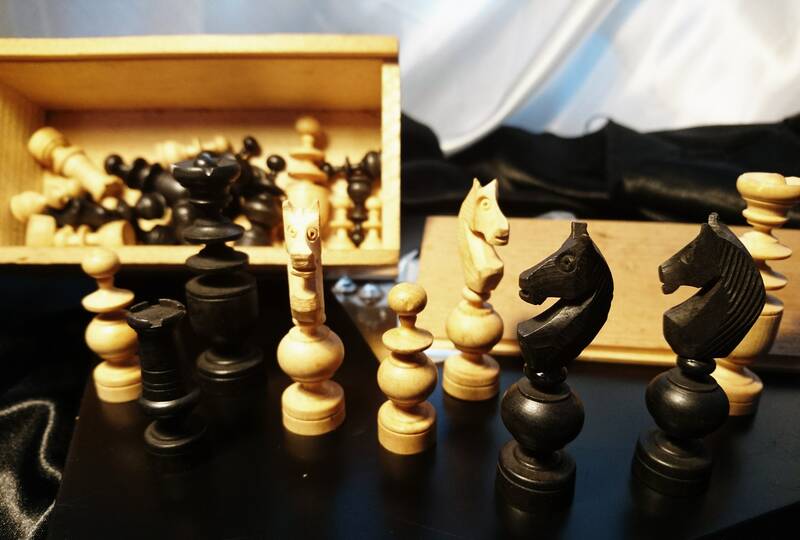 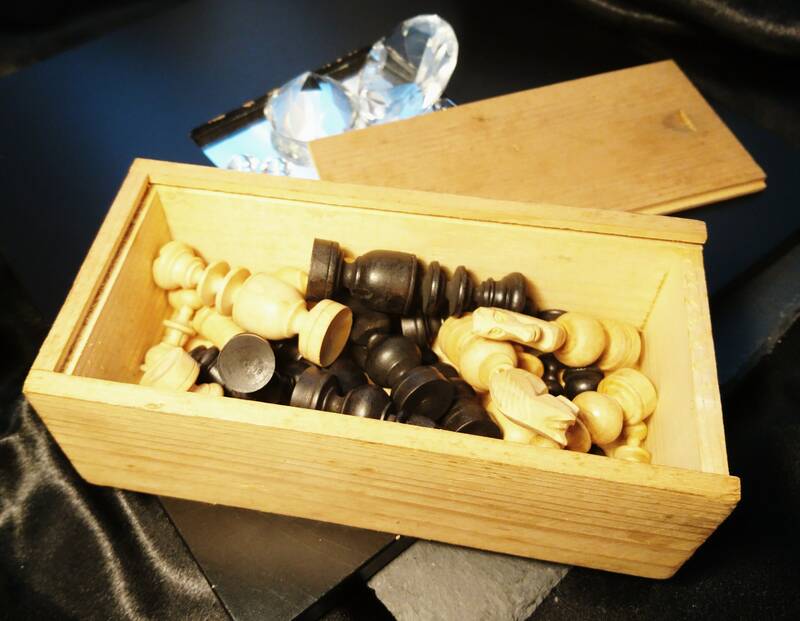 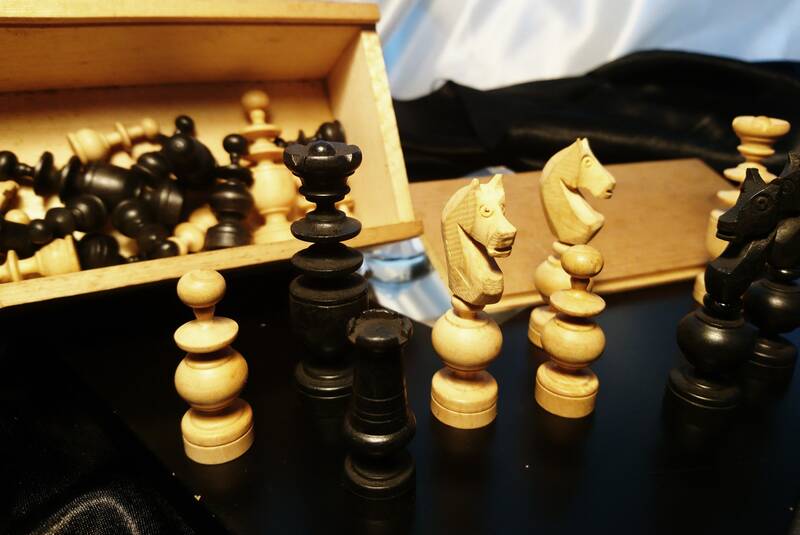 A lovely vintage Staunton style chess set in a wooden box. 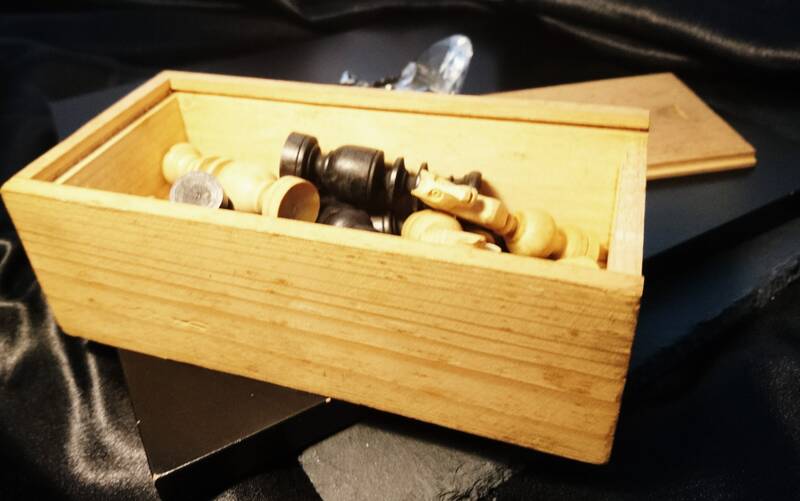 The box has a slide lid and the pieces all fit nicely within. 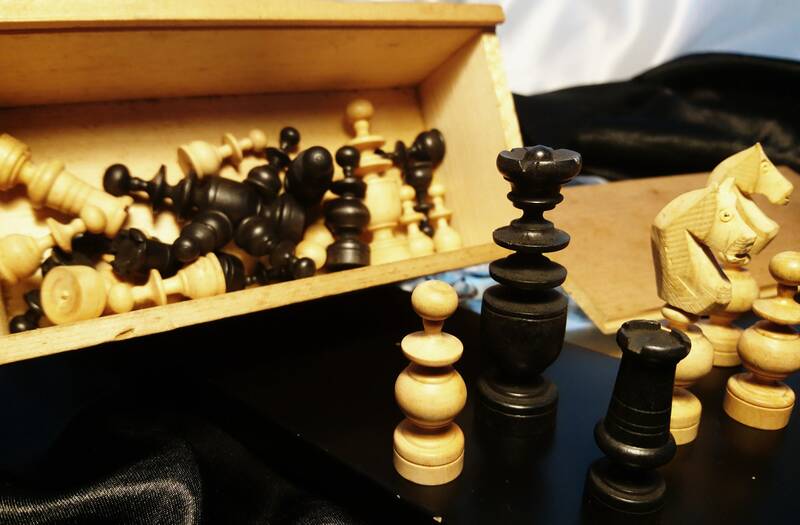 The pieces are made from boxwood and ebonised boxwood and are in very good vintage condition. 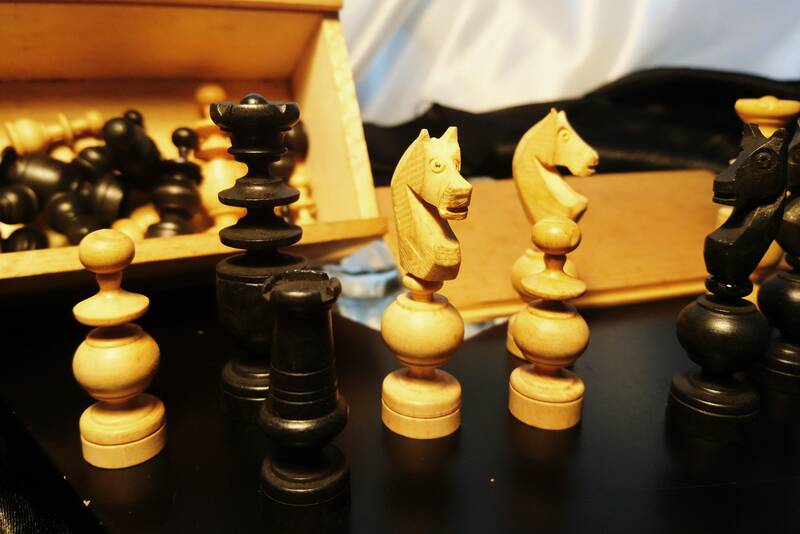 There are 16pcs of each colour, the tallest piece is approximately 2" and the smallest 1"